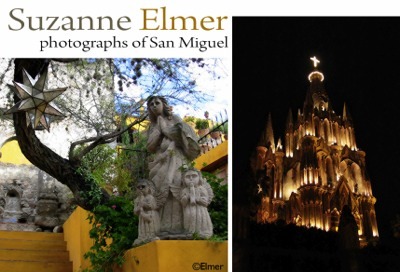 "San Miguel de Allende, as a city, possesses a texture, a tone, and time and place completely its own"
The Arts Company “September Showcase” presents new work by two artists — paintings by Bill Johnson and photographs of San Miguel by Suzanne Elmer - scheduled to open September 5, 6-9 pm during the popular First Saturday Art Crawl at 215 Fifth Avenue of the Arts, North. For information, www.theartscompany.com or by phone 615 254 2040, and through daily Twitter updates. 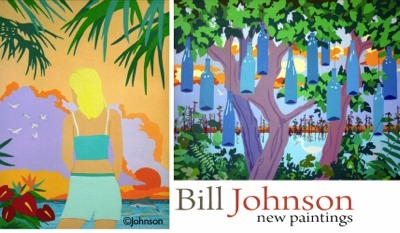 The Arts Company celebrates Labor Day, the last holiday of summer, with two new series of artwork—Bill Johnson’s paintings and Suzanne Elmer’s photographs. They will both headline the exhibit, but the gallery will also showcase other artists whose work will be coming soon to the gallery. Bill Johnson already had a successful career as an art director with Rolling Stone magazine and subsequently with CBS Records in NYC in the 1970s and 1980s before he moved to Nashville in the 1990s to become the V.P. for Creative Services for CBS (now Sony-BMG) Records. His iconic award-winning album covers for Sony have captured, among other accolades, two Grammy awards. After his retirement, he began his own work as an artist in a clean and precise style that suited him. This is the second series of new paintings he has presented at The Arts Company, the first over two years ago. The new series is titled New Paintings. New Palette, and shows a very different palette from his earlier work. 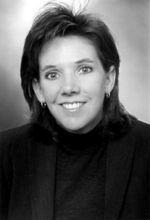 Suzanne Elmer also began in the music business--as a professional drummer--but shifted to real estate a few years ago because she got caught up in rehabbing old houses. That love of houses and real estate trumped her drumming career and led her into paying attention to photography related to buildings, especially the ones in San Miguel, Mexico, one of her favorite cities in the world. She has since developed a small series of selected photographs printed in large format designed as contemplative decoration for a home or office environment. My path to photography has not been a direct one. I’m a native Texan and a Nashvillian since 1981. I began my career as a professional drummer in 1978, and I’ve had the privilege to work with many of entertainment’s most recognized and respected names. Early in my music career I began buying, selling, and renovating a small portfolio of real estate, so my transition in 2001 to full time real estate sales and consulting seemed a natural one. In the process of photographing homes for my real estate listings, I discovered a passion for sharing an experience through images. A home was a living space, architecture was more than lines and styles, and I wanted to communicate the way that I felt about a home in the images I took of its rooms. I liked the feel of the camera in my hands, and I found a strong similarity between holding drumsticks and shaping a song and holding a camera and shaping an image. Holding my camera and capturing just the right moment, in a unique way, feels very much like live performance to me. And I hope for those occasional moments when the essence of my experience behind the camera is captured so honestly that people can share it with me. This San Miguel series is one of my best examples of that shared experience. 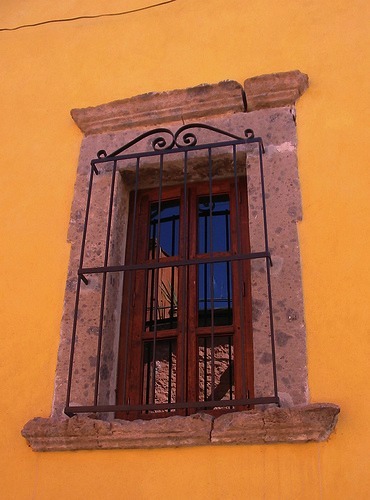 San Miguel de Allende, as a city, possesses a texture, a tone, and time and place completely its own. I have had the privilege to travel there a number of times, and while these are some of my earliest photographs, they continue to resonate with me. I hope that this is one of those occasional moments, and that you are able to share the experience of San Miguel with me. Established in December 1996, The Arts Company continues to be an arts cornerstone on Fifth Avenue in downtown Nashville and a prime destination for fresh, original, contemporary artwork in photography, painting, and sculpture, by artists from emerging to legendary. The gallery website, www.theartscompany.com, is available 24/7 for reviewing and previewing artist portfolios and gallery and outside exhibitions sponsored throughout the year by the gallery. Information on First Saturdays and Art After Hours is also available on the website, as well as regular entries on Facebook, Twitter, our Blog, and Flickr. Regular gallery hours are: 10:00am-5:00pm, Tuesday-Saturday. Images of artwork used with permission. Copyrights reserved by the artists.